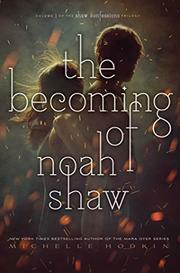 This first in a sequel series to the Mara Dyer trilogy brings Mara’s beloved Noah to the fore. “Gifted.” “Afflicted.” “Carrier.” Depending on one’s point of view, Noah Shaw could be any one of these. The white English 17-year-old possesses a gene that, when triggered, manifests as an extrasensory “gift” in the gene’s carrier: Noah can heal injuries and experience the pain of others like him as they die. After the death of his estranged father, Noah uses his sizable inheritance to relocate with Indian-American Mara and their friends to New York. After Noah witnesses several Carrier suicides, he and Mara, along with her brother Daniel and their two bisexual friends—Jewish, black Jamie and blond, white Goose—join resources with others like them who might be able to help uncover the reason for the suicides. As secrets unfold, Noah’s trust in Mara, who can wish people dead, begins to unravel. Noah, who narrates the story, is apparently supposed to be sardonically witty, but he merely comes off as dull and dry. The book opens with a sarcastic “Caveat Emptor” listing its flashpoint elements and telling readers, “If you need a trigger warning for that, you’re reading the wrong book.” Recounting of events of the previous series unfolds at an excruciatingly tedious pace over the course of the book, so those who haven’t read that trilogy will feel utterly lost most of the way through.